2009 is an important and busy year for NJ natives, The Bouncing Souls. They are celebrating 20 years of vibrant, heartfelt punk rock, with plenty of special treats in store for fans old and new. It was almost 16 years ago that The Bouncing Souls put out their first album on their very own Chunksaah Records, and in a true return to the DIY spirit in which they began, The Bouncing Souls are self-releasing a new 7" every third month of 2009 on Chunksaah! 2009 is not only a celebration of The Bouncing Souls 20 years as a band, but also a great big "thank you" to all the True Believers whove joined their ranks along the way. 7" includes an exclusive previously unreleased track. Produced by Ted Hutt (Gaslight Anthem, Flogging Molly, Street Dogs). Cover artwork collaboration between Bouncing Souls bassist Bryan Kienlen and Arturo Vega, artistic director for the Ramones. Comet, the brand new studio album from New Jerseys THE BOUNCING SOULS marks THE SOULS ninth proper full-length offering. Having been a band since 1989, THE SOULS gained legacy status years ago, and this new 10-song recording is everything youd expect and want from the band and more. Comet was produced by the legendary Bill Stevenson at the Blasting Room (Rise Against, Hot Water Music, Descendents) in Ft. Collins, CO, and is another solid milestone in the bands celebrated career. 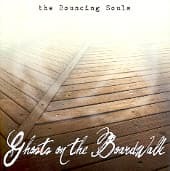 In 2009, The Bouncing Souls celebrated their 20th anniversary as a band by releasing a new song on the first of each month throughout the year, via digital download. They also pressed these songs onto a series of 7" vinyl records which they sold everywhere on a year-long world tour. Here finally, those 12 songs are gathered into a complete collection. Enhanced cd includes the hilarious "The Bouncing Souls 20th Anniversary TV Special" a 25-minute fake tv show! Produced by ted hutt (flogging molly, gaslight anthem, lucero) A total DIY effort: recorded in their own basement studio, released on their own label! Totally badass. In 2009, The Bouncing Souls celebrated our 20th anniversary as a band by releasing a new song on the first of each month throughout the year via digital download. We also pressed these songs onto a series of 7" vinyl records which we sold everywhere we went on a year-long world tour. Here, finally, we've gathered those 12 songs into a complete collection. Enjoy! Very cool vinyl version of THE BOUNCING SOULS' seventh full-length album on their own label! Available again! This raging punk raucous is a fantastic follow-up to their wonderful debut, "The Good, The Bad and The Argyle". Punk rock pur sang! 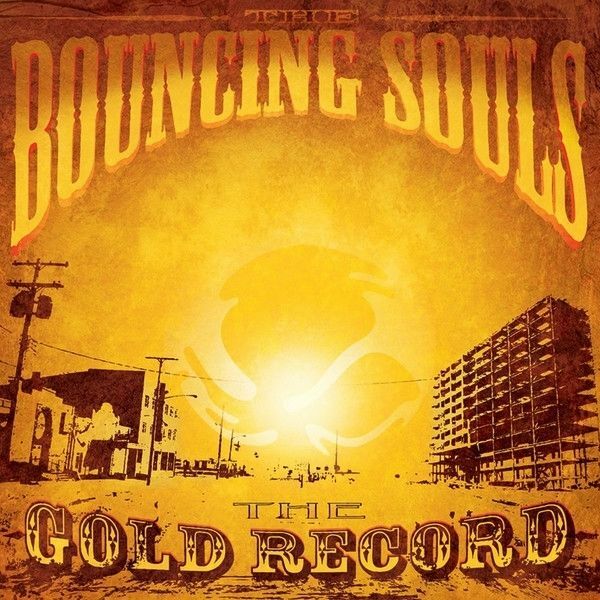 This is a vinyl re-issue of THE BOUNCING SOULS iconic 2nd LP, originally released in 1995. Considered by many fans to be their best record, all of the songs are still played live (some more than others!) and are fan favorites. The album was their first produced by Thom Wilson and was originally manufactured and distributed by BYO Records, bringing the band a more national and international presence than they had previously. 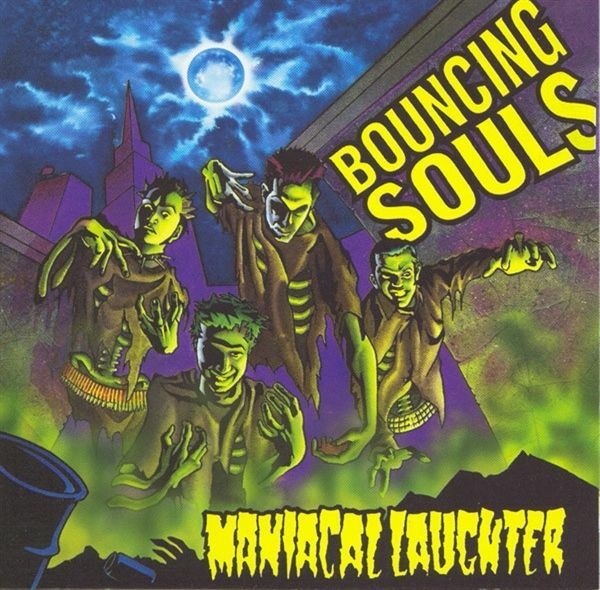 A BOUNCING SOULS classic that stands the test of time! The original demo's, alternate versions, deleted songs, live tracks, covers, tributes etc. This is one for the true believers. Available again! The debut of this New Jersey band. They not only know how to kick a football, but how to sound like all these fine american bands such as YOUTH BRIGADE, 7 SECONDS, BAD RELIGION, NO FX. This is a vinyl re-issue of THE BOUNCING SOULS debut LP, originally issued November 1, 1994! The title is a play on the fact that its a compilation of two previously released 7"s, Neurotic (002) The Argyle EP (003) and some interesting other bits. The song "Joe Lies (When He Cries)" is purported to be the first appearance of what came to be the bands signature sound.